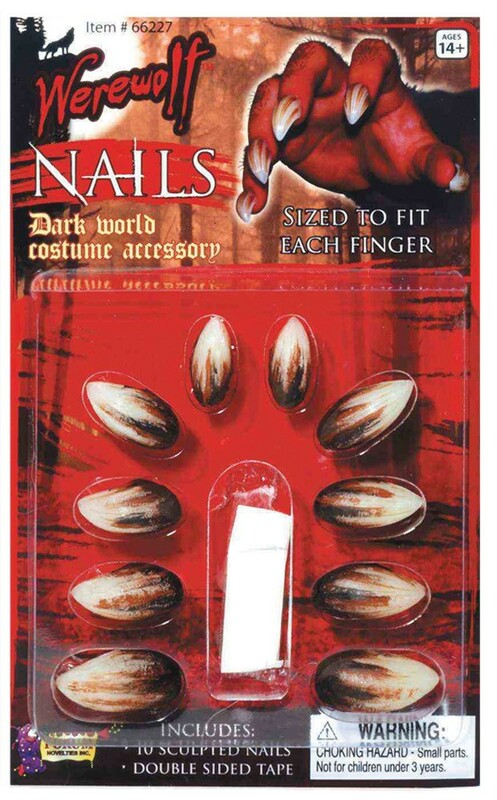 Attach these cool-looking werewolf nails to your own nails for a very surprising look for Halloween or any other occasion when you need to have a little werewolf in your look! Sized to fit each finger. 10 sculpted nails and double-sided tape.